Join the fast-paced, multiplayer battle arenas of DISSIDIA FINAL FANTASY NT FREE EDITION, free of charge* on STEAM and PS4. Test your skills in battles featuring a cast of over 25 unique characters from throughout the FINAL FANTASY series in exhilarating team combat. 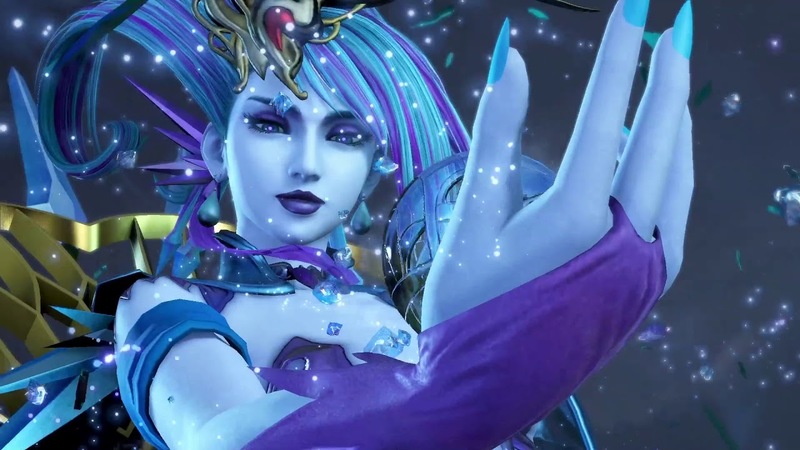 In DISSIDIA FINAL FANTASY NT Free Edition, you can try out part of DISSIDIA FINAL FANTASY NT for free, using four pre-selected characters, from the huge roster available in the full DISSIDIA FINAL FANTASY NT game. Characters rotate weekly and can be used in online and offline battles. Additionally, players of DISSIDIA FINAL FANTASY NT Free Edition can play online against existing players of the full game. Individual characters and weapons can also be purchased separately; ensuring players can enjoy their favourite characters even when they are no longer in rotation. Developed in partnership with veteran fighting game studio Team NINJA from KOEI TECMO GAMES, DISSIDIA FINAL FANTASY NT is a unique 3-vs-3 team-based brawler, where players work together to overcome their rivals and dominate the battlefield. Featuring characters from throughout the FINAL FANTASY series, powerful summons, online and offline play modes, character customisation, a brand-new and original story and much more, DISSIDIA FINAL FANTASY NT welcomes players of all types to enter the arena and test their skill. In DISSIDIA FINAL FANTASY NT Free Edition, players can enjoy a sample of the full game, with four pre-selected characters that rotate on a weekly basis. There are two types of characters: the 28 from the full version, who appear in the weekly line-up for the Free Edition, and DLC characters (see Season Pass information below), who won't appear in the weekly line-up. You can carry over your Free Edition save data to the full version, once you purchase the full game. * An active PlayStation®Plus subscription is required to play online for PlayStation®4 users. What makes a good videogame villain?